In today's era of managed behavioral health care, mental health professionals are called upon to consult on medication treatment or recommend what medications would best serve as adjuncts to therapy. Medically trained or not, all mental health professionals need to know as much as possible about psychopharmacologic medications from dosage and side effects to drug-drug interactions and other special considerations in order to provide effective and accountable treatment. 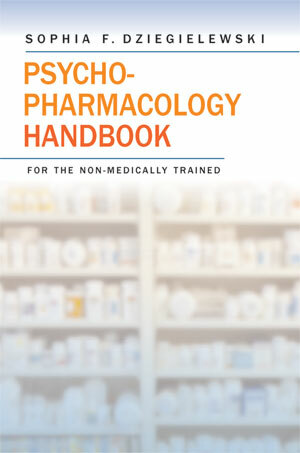 The first-ever handbook of its kind, Psychopharmacology Handbook for the Non-Medically Trained fills a noticeable gap in most student training programs by providing a reader-friendly and accessible overview of the role of drugs in mental health treatment. Emphasizing the importance of making medications available to consumers in conjunction with the most effective and efficient counseling interventions, Dziegielewski establishes the context for the therapeutic use of psychotropic drugs in the culture of today ís mental health treatments, examines the danger of the "quick fix" mentality into which consumers and clinicians are tempted to fall, and then focuses on the medications themselves. One of the most prominent and authoritative social work academics today, Dziegielewski is an authority on the topic of psychopharmacology in social work practice. The recipient of numerous honors and awards for her teaching, the creator of a popular preparation course for social work licensure, and the author of over 95 publications, she is a source to which students and professionals turn for up-to-date, accurate information on a variety of topics in the social work field. 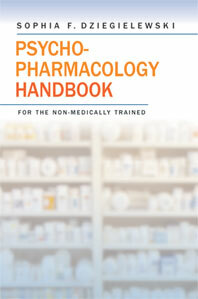 Psychopharmacology Handbook for the Non-Medically Trained is an invaluable resource guide for all non-medically trained practitioners, providing therapists, social workers, and other counselors, with effective tools and critical information to help them become better informed about all courses of mental health treatment for their clients.